Not all entrepreneurs and business owners understand the meaning and power of the word “no”. Even fewer actually practice using that power. While it might seem counterproductive for an entrepreneur to say no to people or opportunities, it’s actually one of the most important characteristics of being a successful entrepreneur. The things you say no to are often the catalysts that give you the time and focus to succeed. The more entrepreneurs say yes, the less time they have to dedicate to what is actually important. Pretty soon, you can find yourself so busy that business strategy and a balanced work-life schedule fall to the side. When strategy and work/life balance deteriorate, so does your business. Why do most entrepreneurs say yes? If people know that saying yes too often can cause so much chaos and disorganization, why do so many entrepreneurs say yes? 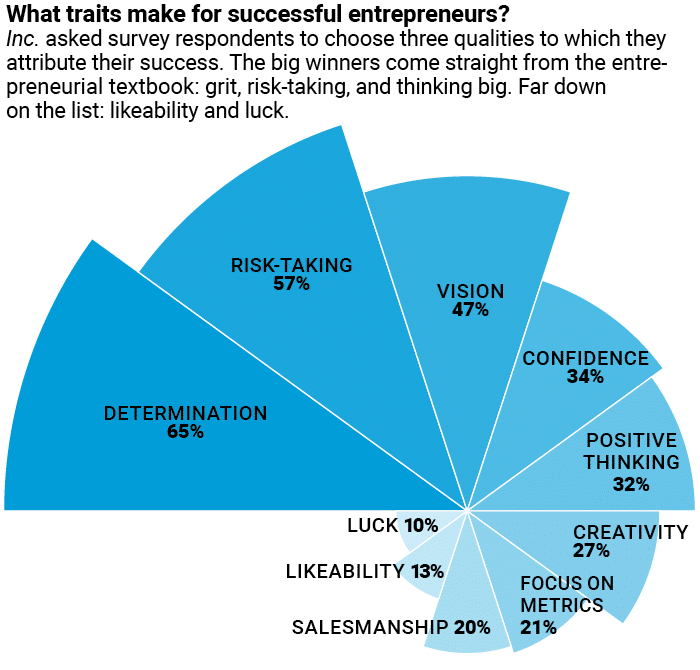 Researchers have discovered that entrepreneurs say yes for many reasons. Entrepreneurs chase opportunities. It would be a waste of time not to, so they often find themselves triple booked, overworked, and spread too thin. Entrepreneurs are optimists and tend to believe their projects will succeed. After all, it takes a lot of courage to take a risk and start a company. With optimism comes the tendency to dive into projects quickly, without paying much attention to risks. Entrepreneurs are never satisfied. They are doers, thinkers, and often creative or extremely intuitive. Entrepreneurs are always searching for the next way they can disrupt a space, which means they’re never quite content with what they have and are always looking for an open door. In fact, a survey about the most valued entrepreneurial characteristics according to Inc revealed that 57% of successful entrepreneurs are risk takers, making them more likely to say yes to opportunities. The problem is that such “opportunities” can often lead to paralysis. For example, our team has met thousands of young entrepreneurs. Many spend years researching, planning, and thinking about their startup idea. But instead of coming up with a strong business name and logo and starting to build and grow their brand, they take on many smaller projects and continue to delay launching their new business. It rarely surprises us when years later, they’re still researching, planning, and thinking about their idea. When do successful entrepreneurs say no? Overall, the factors that lead many entrepreneurs to say yes aren’t bad – they’re actually necessary for success. The difference is that successful entrepreneurs have a strong control over those factors, and practice carefully calculated restraint when faced making decisions. For this reason, the most successful entrepreneurs say no often. Successful entrepreneurs rarely spend their days in meetings. Between employees, investors, mentors, and other entrepreneurs, coffees and lunches suddenly become full-day commitments with little return for your business. David Grady, an expert in communications, gave a great Ted Talk on the issue of taking too many meetings. In Grady’s opinion, saying yes to meetings is an epidemic among entrepreneurs. Instead of having constant meetings, successful entrepreneurs pick and choose the meetings that will help them the most. They also set time limits, making sure that they only have one 1-hour meeting a day to leave time to get what they actually need to get done, done. As naturally ambitious people, it’s easy for entrepreneurs to think that they can handle multiple ventures or projects at once. After all, entrepreneurs chase opportunities. But when it comes to packing on the projects, successful entrepreneurs know that too many ventures likely mean low chances of success. With your focus spread so thin, it can be hard to balance your time properly. And – you’re less likely to practice self-care, missing out on sleep and other healthy habits that are necessary to fuel an already-hectic lifestyle. Jenny Blake, the author of the blog Life After College, says that without leaving time for balance, there is no way to be successful as an entrepreneur. If you’re an entrepreneur, your business relies heavily on your sleep and sanity. Make sure that you are putting yourself first by eating right, sleeping well and exercising (at a minimum). Remind yourself that those things are critical to thinking, creating and performing at your best, and make sure you stand firm to your commitments to all three. For more on wellness, we recommend you read Wellness Tips from Successful Entrepreneurs and Health Experts. Often, entrepreneurs run into the issue of pursuing multiple strategies at once – and running out of money and time in the process. No matter how much funding or help you have, it’s never a great idea to do too many things at once. Rather than pouring money into Facebook ads, a PR campaign, and Twitter promotions, a successful entrepreneur picks the platform with their largest success rate and spend all of their efforts building up that channel. Once that strategy is working, the successful entrepreneur would focus on the next best idea. Local small business owners are losing money left and right due to poor or weak processes in their business. It is critical that you take a look at your processes and fix the broken ones. Before you can take your business to the next level, you have to master the one you’re on. Take a good hard look at what’s working and what isn’t. Then fix the stuff that’s broken. And those are just some of the biggest things that great entrepreneurs say no to. Of course, they also say no to bad ideas, or strategies that don’t align with their goals. They also say no to bad employees or poor culture fits. 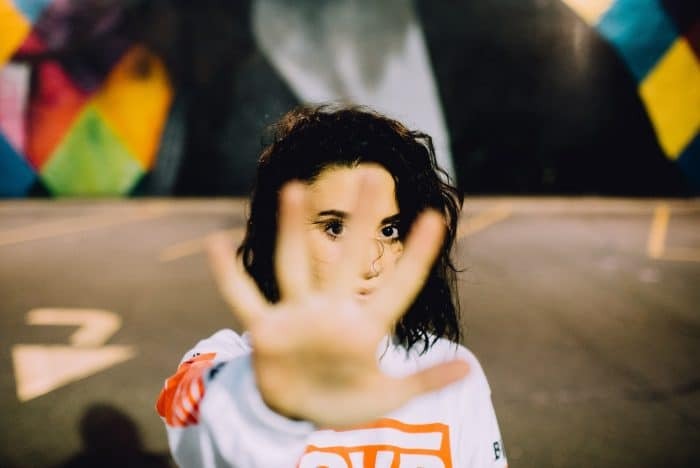 Saying no is one of the ways that great entrepreneurs keep their goals within reach. For more on strategy, we recommend you read the free ebook from crowdspring’s founder and CEO – Stand Out: An Entrepreneur’s Guide to Starting, Growing, and Managing a Successful Business and 15 Must Watch YouTube Channels for Entrepreneurs and Small Business Owners. How can you learn to say no? Successful entrepreneurs have a different mindset about the word “no”. So, to change your default “yes” to a “no”, you have to change your mindset. For most people, the word “no” has a negative connotation. But successful entrepreneurs interpret the word as a protection or a barrier instead of a roadblock. Part of changing your mindset involves reminding yourself of what saying “yes” means – it’s an exchange of time. Every time you say yes to a phone call, meeting, or new project – you are saying no to something else. That something else could be far more important and could be the difference between success and failure. As you say no to your priorities, you start throwing away all the hard work you invested in your company. A highly successful entrepreneur we’ve talked about in the past, Mark Zuckerberg, makes sure that he reminds himself what he’s working for when saying no. I’m in this really lucky position, where I get to wake up every day and help serve more than a billion people. And I feel like I’m not doing my job if I spend any of my energy on things that are silly or frivolous about my life. If saying no still seems too harsh, you can always decide later without committing to something now. Leaving the door open for when you have more time to spare is good because you never know when an opportunity is better in the future. Ultimately, successful entrepreneurs practice self-discipline. And a part of that is saying no. While saying no is important, one thing you should absolutely say yes to is a better brand. If you’re ready to build a better brand, crowdspring’s community of over 210,000 graphic, web, and product designers can help you achieve your business dreams. You can get started on a logo design project in minutes, or request a free, no obligation design consultation with one of our design experts.